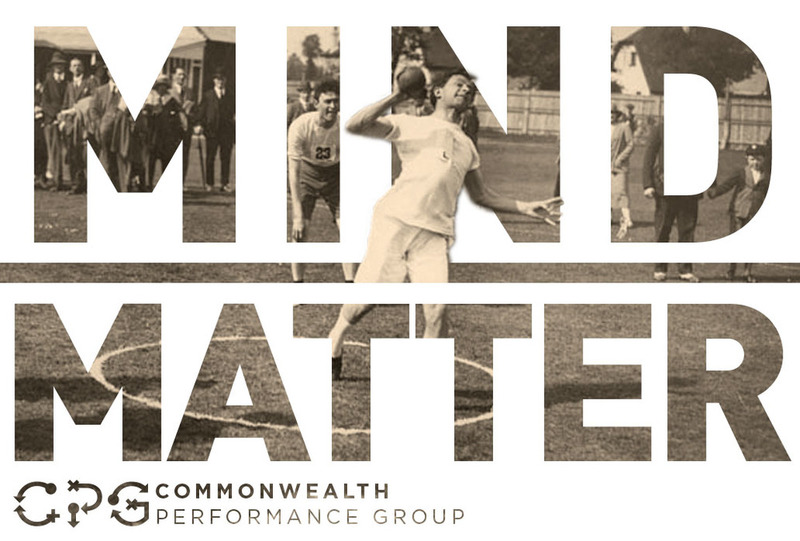 I created this logo for a local sports psychology consultancy, named Commonwealth Performance Group (CPG). CPG provides comprehensive sport & performance consulting services and resources, tailored to groups and individuals, helping them to excel. CPG is a small company, just starting out in the game, so I needed to figure out a way to provide some sort of media for them to put out without costing them a ton of money. I searched through the Creative Commons and found some great, old sports photography and thought I could make something of it. I came up with the tagline Mind Over Matter and married it with the images. As an athlete myself, I know how important will power can be against a more physical presence, so Mind Over Matter seemed like the perfect fit for a sports psychology consultancy. Below you can see some of the images we started to put together.